Advance HE supports universities in putting the institutional strategy into practice for the benefit of students, staff, and society. Advance HE bring together HE-focused expertise in governance, leadership and management, teaching and learning, and equality, diversity, and inclusion, to help them to deliver world-leading teaching, research and scholarship, your civic mission and student outcomes at the institution. Advance HE do this through the provision of specialist knowledge and resources, externally recognized benchmarking and recognition schemes, and a member-focused, collaborative approach. The Association of Chartered Certified Accountants (ACCA) was founded in 1904 and is the global professional accounting body offering the Chartered Certified Accountant qualification (ACCA or FCCA). Kingdom University is an ACCA Accredited for the Bachelor degree in Accounting & Finance program, which allows KU graduates to be exempted from some of its professional exams. KU library participates in LibQUAL+ survey to assess its resources and services. Ku library conducted a large scale survey among the students and staff in March 2016 and it plans to conduct again in September 2019. This affiliation sets for the terms and understanding between Kingdom University and Tamkeen /Jafcon for Consultancy and Productivity Improvement in partnership to carry on the Intemship Productivity with Improvement Program “Eqtidar”. Hereby agree to work together in cooperation under the mutual consent of the parties for future batches of the internship. Kingdom University is cooperating with the Institute of Political Development in conducting joint research and to prepare studies that serve the Kingdom of Bahrain and the Gulf community. Cooperation Agreement between the Ministry of Industry, Commerce and Tourism with Kingdom University relating to the students internship, joint research, studies and workshops. The two sides Kingdom University (KU) and SME’s agreed to promote and cooperate in the fields of entrepreneurship and innovation and to collaborate on different matters in supporting startups. This teamwork is to make links with experienced entrepreneurs to transfer their knowledge and expertise to young entrepreneurs. KU is keen to create opportunities for its students benefiting from this agreement. 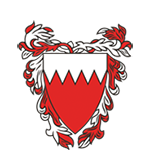 Kingdom University (KU) collaboration with Bahrain FinTech Bay which is the leading FinTech Hub in the Middle East and Africa -By becoming a partner, KU becomes part of MENA’s most dynamic and diverse FinTech network. This partnership will help in enhancing employability for Bachelor of Finance and accounting graduates to use the most updated financial technologies. It will also open paths to curriculum development to meet the future market needs. Kingdom University, one of the first private educational institutes in Bahrain, provides outstanding educational experiences that prepare students for the challenges of productive citizenship. With experience of more than 15 years, Kingdom University offers Bachelor programs, a number of which boast continued accreditation of the ACCA. We at Kingdom University strive for excellence, innovation and inclusiveness. What question is being answered? What name should be displayed with your FAQ? Is the Question that you are looking for, not here? No need to worry ask your Questions here.